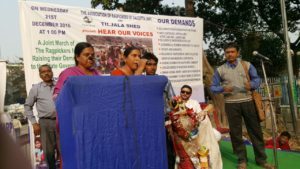 Historic Rally by Rag Pickers organised by Tiljala SHED. 1) Include Rag Pickers in SASPFUW (State Assisted Scheme of Provident Fund for Unorganised Workers). 2) Include Rag Pickers in waste collection before the solid dry waste is dumped into compactors. 3) Include Rag Pickers in the BPL (below the poverty line) List and improve the quality of ration which is currently given by the State Government. 4) Give birth certificates, Ration Card, voter card, pan card, Aadhar Card. 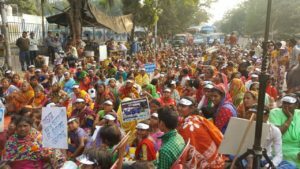 5) At least 100 days job guarantee to the rag pickers initially and then for the entire year round. 6) Requesting the Govt. to have a census for the no. 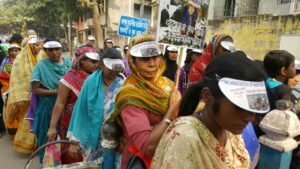 of rag pickers currently present in West Bengal. 7) Scientific disposal of waste is ensured. 8) Improve the condition of children and other rag pickers in the Landfills (e.g. Dhapa Dumping ground, Howrah Dumping ground, etc.). 9) Ensure jobs in waste management in KMC for Rag pickers whose income has gone down because of installation of Compactors. 10) Without segregation the waste is being dumped at Dhapa Dumping ground (Landfill) which is a gross violation of Municipal Act. Segregation of waste should be ensured. Thanks for all the support. We need all your love and support. 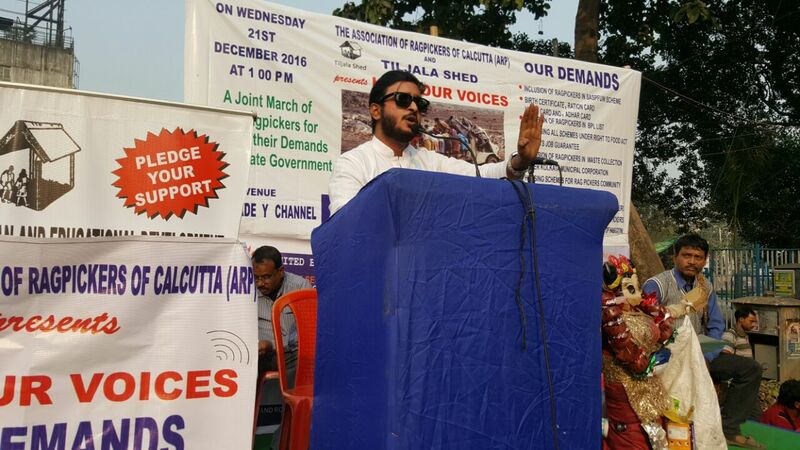 Never in Kolkata there has been a rally organised by The Association of Rag Pickers of Calcutta. 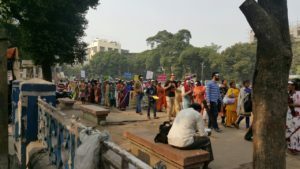 We thanks our network partners Seva Kendra Calcutta, Focus, Tomorrows Foundation, and other activist who were present for the cause of the rag pickers. They are like Dalits of our society treated like trash. We want Identity and Dignity for this community.